I don't encourage negativity on here, but we would like to get some feedback on the Mayday event in order to consider changes for future events. Next year's May Day is still not decided because we will have to see the extent of the park closure to carry out the Heritage Lottery Restoration project, but we can always learn from what worked well and what was not quite so successful. 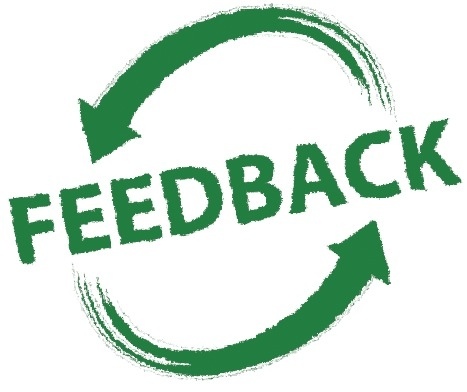 You can either feedback via the comments here, or e-mail at bearwoodblog@gmail.com. Oh, and we know…there were still not enough toilets! I think there were both, Matt. There were two Caribbean stalls, the Red Oven as well as another Indian street food stall, a Thai food stall, a couple selling a variety of pasties and a creperie, just from memory. Everything was great except when buying cider they said they were waiting for the van to be opened, a bloke went to get the keys this was about 20-30 mins wait before then telling people they ran out of cider so I had to buy a Coke as I’m not a Ale fan then as soon as that arrived they figured out the van wasn’t locked and the van was open anyway and cider was available but this was the only down point to a wonderful festival! I did hear about the confusion around the cider Jak. Sorry about that. I’m beginning to think a cider festival with a bit of ale might work well! I live right next to the park and I thought it was fantastic – lots to see and a great atmosphere! Thank you for putting on a fabulous mayday event again, appreciate all the hard work that must have gone into organising it. Re the toilets, much shorter queues this year! Loved the circus skills and craft activities for kids. Hated the fair, too busy, turns a cheap day out into a more expensive day and we missed a lot of the entertainment due to time spent queuing for rides. Apart from that, all good, well done all involved. I thought the fair was extortionate this year (£2 per ride, per child) – quickly became very expensive for parents of more than one child. In previous years, it has seemed cheaper and the token system worked quite well, but this year’s operation seemed to be geared more towards older children and adults; perhaps that might explain the prices. Why not have the next event further up in the extension if restoration is going to be taking place? The issue then becomes car parking, Lisa. At one point there were only a handful of available spaces on the extension, so we would have to worry about congestion on the roads. Plenty to see we moved around from one thing to another, just one concern we had was the amount of teenagers smoking drugs, I really enjoyed watching the skate,scooter and BMX, just the amount of young people surrounded by the smell of cannabis and there was a very large gang of male teenagers/adults hanging around, just felt uncomfortable, apart from that the lads and girls that took place in the competition, were very entertaining,the bands were great, food and drink reasonable priced, more Indian food maybe next time as the queue was there all day,parking was very well organised. We will defo be returning next year. I think some cider came back on later Becky, although I appreciate that was no good to you. It was just try to judge the level of demand I’m afraid. If it had rained and only a couple of thousand people had turned up there would have been gallons left over and potentially wasted. Anyway, glad you enjoyed it. It was an almost perfect day. More hay bales to sit on and more cider would have made it perfect. Might have been better on the Sunday also, as getting up early for work the next day was not pleasant. Fantastic day, plenty for everyone to do and see! Three generations had an amazing time! Thank you all for your hard work. Had a brilliant day at the Festival – thank you to all those people who helped put it together and making Bearwood the place to be! I thought there was a good balance to try and fit all the ages that were attending. We only live around the corner so I cannot comment on the toilets. My only suggestion is to use a wider broadcasting PA across the park to announce about what was happening in the day. The huge scale of the event made making choices difficult – and that’s a huge complement! If you can`t use the park next year, what about holding it at the woods? Andrea, that would be a matter for the community trust, as to whether it would fit their model and whether it would impinge on their own events. We wouldn’t rule it completely out but it would probably have to be a. Diffent sort of event. Great event as ever. Brilliant volunteers coming round and collecting picnic litter. Only points to mention really was the quick disappearance of cider. If it doesn’t say rain is forecast next year I’d say bring lots. Also I don’t gave kids but was with several friends that did and beyond 4 it became clear that they needed to head home. As a result we all missed out on the main band Musical Youth. I know it’s standard festival build up to hold the main act until the end but maybe have them mid billing next time? Or is that a major festival no-no? Good pont. It is good to finish on a high note, but you’re right, there were quite a number of people who had left by the time the headline act came on. Thanks for the feedback Patrick. FAntastic day, all went well, brilliantly excecuted. I live in Lightwoods and use the park (and woods) daily for my children and dog walking. The smell and use of Marijuana is alway present , and the Fun Day was no exception. This does need to be better policed espesially on a Family Day. sad but true. The rest of the day was stunning. Viv, you wouldn’t believe the difficulty we had getting ANY police at all to the event!